The 2014 Asian Games in Korea’s port city of Incheon will be a festival of not only sports but also of culture, art and academic events, aiming to be the best Asian Games ever held, the head of the organizing committee said. Part of this “maturity” includes the IAGOC’s preparation of its Vision 2014 program that calls for actively supporting countries with a low track record of winning medals to help realize their dream of clinching a medal. Some of the efforts would include providing training grounds and know-how to raise the chances of these counties taking a medal home. Among the 45-member countries, 12 countries have yet to win a gold medal, while three countries have not yet garnered one single medal. The Vision 2014 program, a seven-year agenda, features a $20 million budget that has been put into use since 2008. Incheon has invited rising stars of the selected countries, sent top-notch coaches and built sport facilities and equipment. 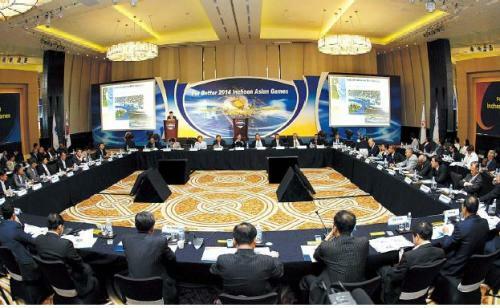 As the 21st century sees the Asian region taking on a greater role in the global economy, the IAGOC said it wants to exert its utmost efforts to make the tournament a success in promoting a truly balanced development of the sports sector for Asians, who account for about 4 billion, or two-thirds of the world’s total population. 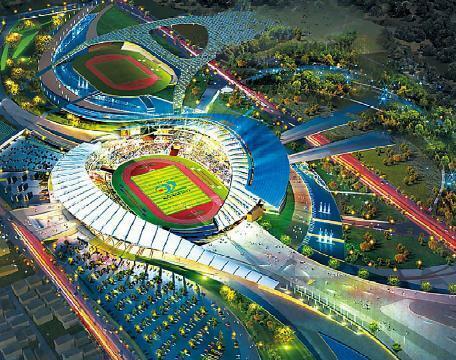 The 17th Asian Games will be held from Sept. 19-Oct. 4 in Incheon, 37 kilometers west of Seoul. “We will also do our best to make this event an opportunity to open the doors to the ‘Asia era’ and strengthen the friendship and cooperation of the Asian community,” Lee said. Lee was the former president of the Korean Olympic Committee and co-chairman of the Korean World Cup Organizing Committee for the 2020 World Cup Korea-Japan. The host city is Korea’s third-largest city and boasts harboring the Incheon International Airport and New Songdo City, an environmentally friendly city developed from scratch in the Incheon Free Economic Zone. The $40 billion development project envisions being one of the world’s most resident-friendly and futuristic city, while serving as the leading global business hub of Northeast Asia. Korea has had the experience and privilege of hosting the Asian Games two times before -- the first in 1986 in Seoul and the second in 2002 in Busan, the country’s second-largest city. Lee said that part of the success of the 2014 Asian Games will be Incheon’s readiness to share the city’s unique features as a global city. Incheon rests on a land space as large as 1,007 square kilometers and is home to about 2.8 million people. Organizers said the city’s big population is expected to stand in concerted efforts to make the international event a safe and heartwarming one. In addition to Songdo, other new development projects within the Incheon Free Economic Zone -- Yeongjong and Cheongna -- are expected to enrich the 2014 Asian Games experience, Lee said. This is promising news to investors, as observers have raised the issue of the slower-than-expected pace of the development and financing uncertainties due to investment procurement. While Incheon seeks to contribute to balanced regional growth, it plans to offer a new green growth paradigm while making the fullest use of the various cultures unique to the region, improving living and welfare standards, and creating a stadium that will stand as a new landmark. Incheon and its surrounding districts will not only provide scale but also state-of-the-art level of information technologies, while observing low-carbon emitting growth policies. The main stadium is scheduled to be completed in June 2014. With an allocated budget of 496 billion won ($429 million), the stadium will be built on a 172,000 square-meter site with a seat capacity of 72,000. Of the total, 40,000 of the seats will be detachable to create space for other purposes during the 2014 tournament. The structure will use an environment-friendly source of energy, such as solar heat and terrestrial heat, and be equipped with state-of-the-art information technologies. The tournament grounds will feature seven venues for such sports as swimming, volleyball, tennis and bowling. The athletes’ village will be able to accommodate about 20,000 people, including athletes, reporters and relevant officials. Organizers said the village will also try to accommodate visitors. 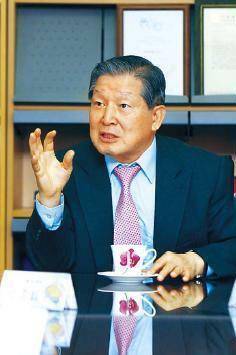 Incheon currently has 44 hotels and about 850 motels, but it plans to build seven more by 2014. For a successful event, the IAGOC said it is training public servants and Incheon athletes to prepare them to be good hosts and ambassadors. The 450 of them are now learning seven major languages of Asian countries, including Russian, Arabic, Malay-Indonesian language, Vietnamese, Mongolian, Hindi and Thai to raise operational efficiency. Incheon will be receiving the Asian Games flag at the closing ceremony of the 2010 Guangzhou Asian Games in November. “The utmost efforts will be made by the Incheon Asian Games Organizing Committee, Incheon City, and Incheon citizens to help develop Incheon into one of the world’s top 10 ‘masterpiece’ cities,” Lee said.